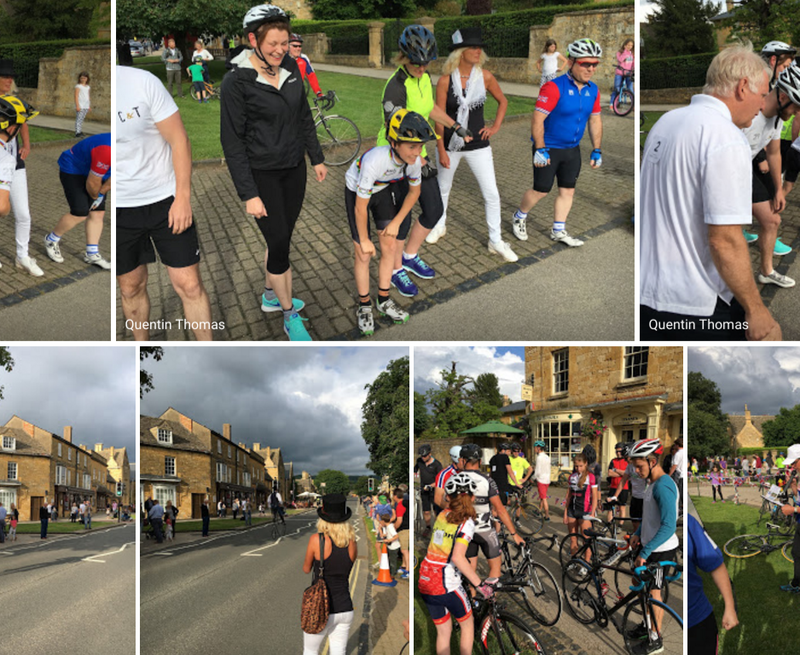 300 spectators came to the 2016 Broadway Bike Night, which was fewer than last year, but a great turnout because the weather forecast was so pessimistic. As it turned out the weather was excellent for the first half of the evening, but then the forecast rain arrived with a vengeance. As a consequence the family bike ride run by Honeybourne Bicycle Action Group was cancelled as the children would have been soaked. 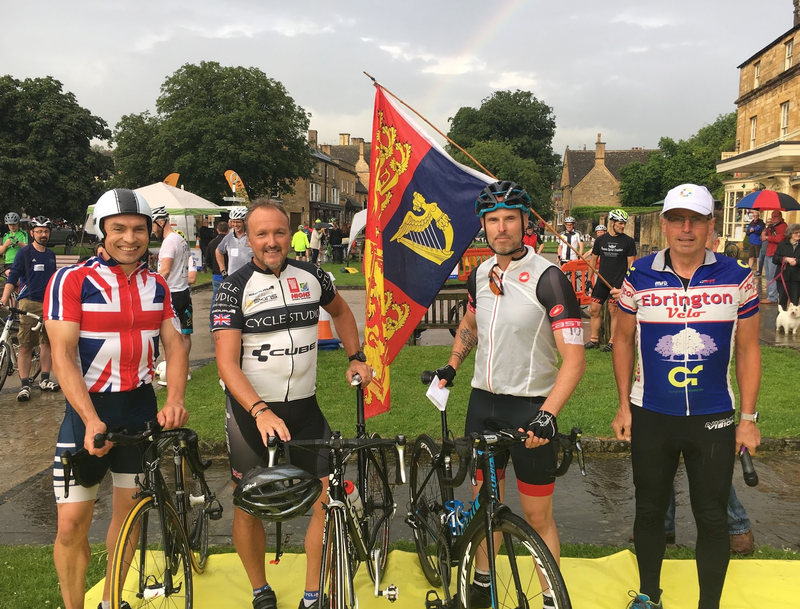 The High Street was closed to traffic between 6-8pm, with barriers manned by Wychavon staff, and Robin Walker of Cycle Evesham Vale was the host on the PA.
24 teams of Three riders, entered the relay races. They were hectic, fun and still competitive. That was a 50% increase in teams over last year’s entry of 16, so very pleasing. This year we had public liability insurance, and disclaimers for the riders to sign, so we are properly grown up, but once that was out of the way I’m pleased to say the chaos and mayhem was in abundance, as normal.